Some schools were still delayed or even closed Tuesday as D.C. shivers through another day of frigid temperatures. It's now been below freezing since Friday afternoon, reports Storm Team4 Meteorologist Tom Kierein. Some schools remained closed for Tuesday, or announced late openings. For the latest list of closings and delays, click here. "It's sort of torture, walking around in this cold," said Tesneem Alkiek, walking in Dupont Circle. 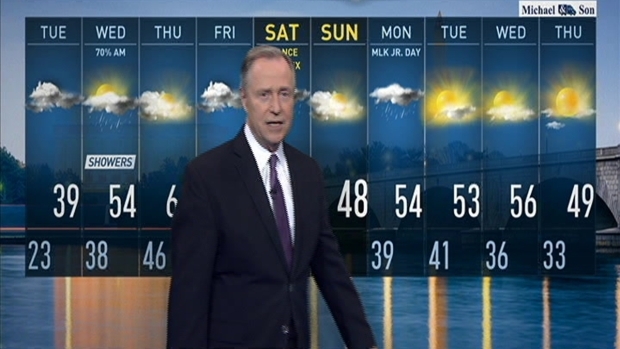 Storm Team4 Meterologist Tom Kierein has the forecast for Jan. 9, 2017. Overnight, feels-like temperatures will fall into the low teens in many places. It will remain below freezing until about noon, but temperatures are finally climbing. Click here for the full Storm Team4 forecast. Highs should be above freezing Tuesday -- and could reach the 50s Wednesday and the 60s -- yes, 60s -- Thursday.